Nearly 3.5yrs from time of deposit, there is now a 2018 911 GT2RS inside 311RS HQ. And just in time for winter development season. 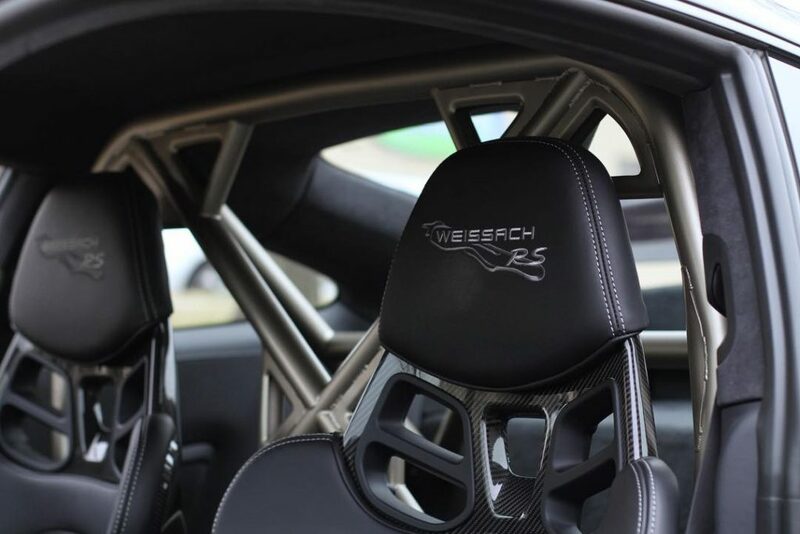 Below we’ll take a look at our first few stages of development for the GT2RS platform. The car has just arrived to MN from Germany. We spent a week with the new 991 GT2RS for European delivery back in September – driving the car hard through Germany and Belgium was quite the experience. The roads, the tracks, the beer (! ), all were wonderful. Our first taste with the tires was on track at Spa Francorchamps. We’re happy to confirm the additional grip is certainly noticeable, especially when the tires were fresh. 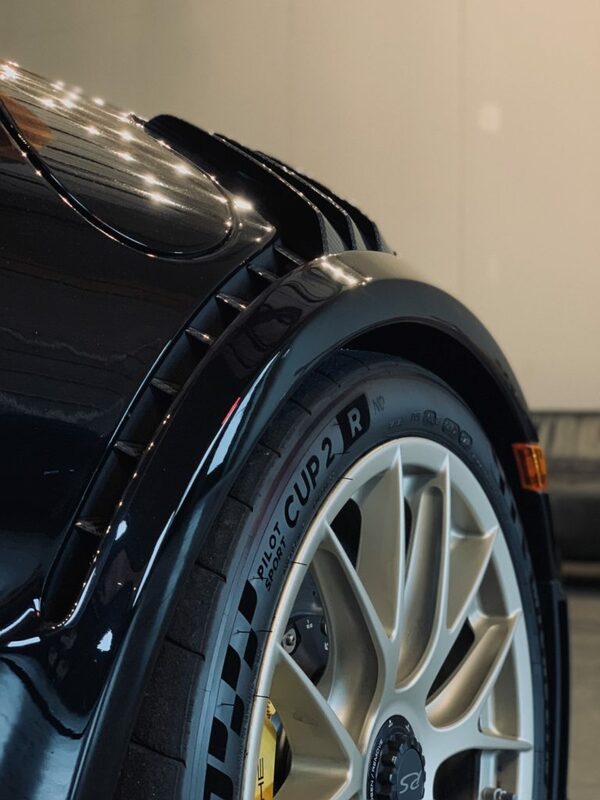 We’ll be running the Sport Cup 2R exclusively on our GT2RS. You’ve got to love a street tire with legitimate race tire grip, even if for just a portion of the tire’s life. We look forward to understanding the tires further as the car develops into 2019. 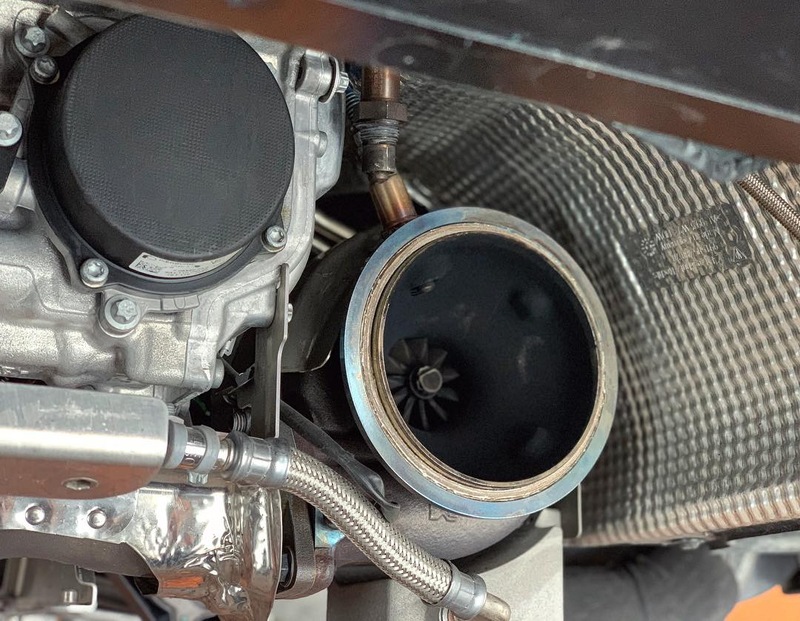 A potential bottleneck for a track-driven GT2RS is the charge cooling system, specifically the size of the factory water tank. While at Manthey, they offered us one their yet-to-be-released extended water tanks. The Manthey piece works in conjunction with the factory water tank, and in the process increases capacity nearly 300%. 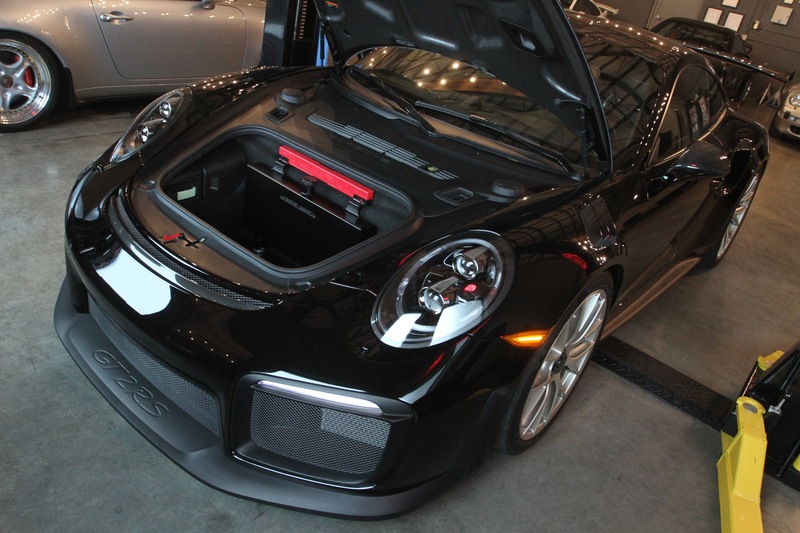 Early indications are that the factory GT2RS water tank functions well on a street car. However for those that track their GT2RS, especially in warm climates, the limitations of the factory unit become quite clear. We put the new Manthey system to the test at Spa Fracorchamps. While there, four other GT2RS’ were also on hand for RMA Trackdays event. And sure enough each of them were refilling their water tank throughout the day – typically with each fuel fill up. In contrast, we ran 6 sessions with the car, 3 full tanks of fuel, and left the track with nearly 1/3 of the Manthey tank full with distilled water. Keep in mind the Manthey tank is piggybacked on top of the factory tank, so the 1/3 left in the Manthey tank is in addition to what was in the factory tank below. Manthey’s setup performed flawlessly. We recommend it for all GT2RS owners who plan to drive their cars – it’s a must. We’ve got a batch coming in in early December and ordered a few additional units for inventory. 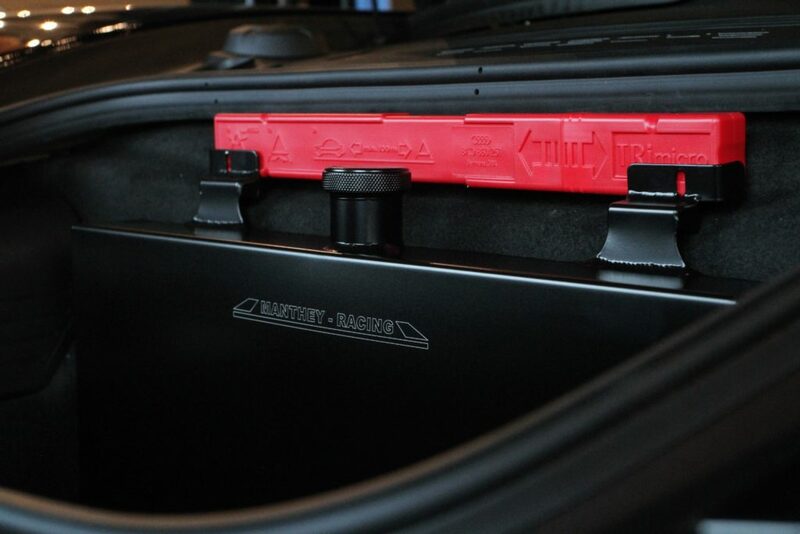 Please contact us should you wish to upgrade your GT2RS with Manthey’s water tank (or any other items from their catalog). The next phase of our program focuses on the exhaust system. The factory setup is quite nice – the catalytic converters are attached to each turbo with a direct exit out the exhaust type when the valve is open. 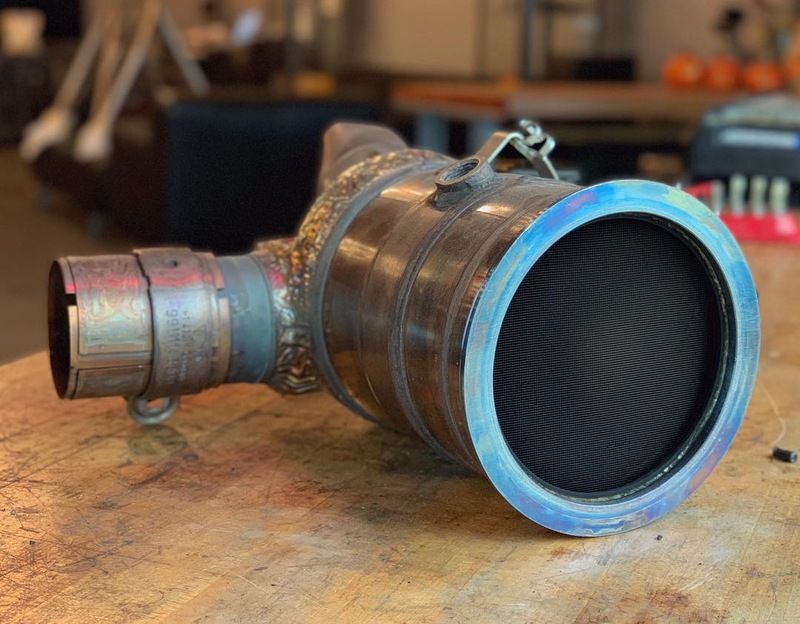 While the valves are closed, the exhaust gases are directed into a titanium center muffler and back out the exhaust tips. Each catalytic converter and valve combo weighs 12.2lbs. 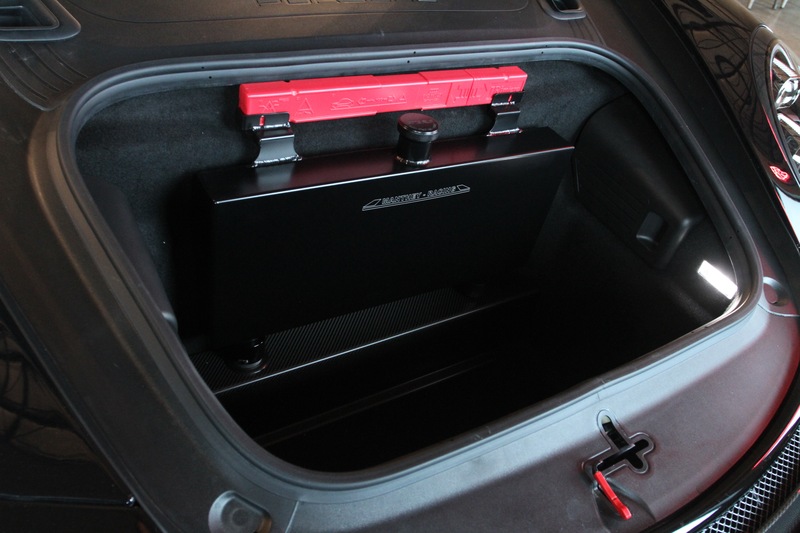 Combined with the center muffler and hardware, the complete system is roughly 35lbs. 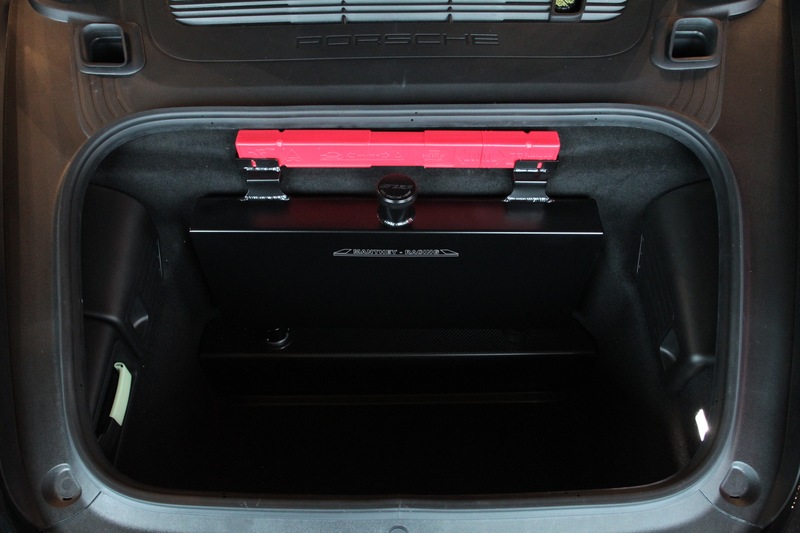 The system makes good sound and plenty of power, however the catalytic converters are quite restrictive for track use. 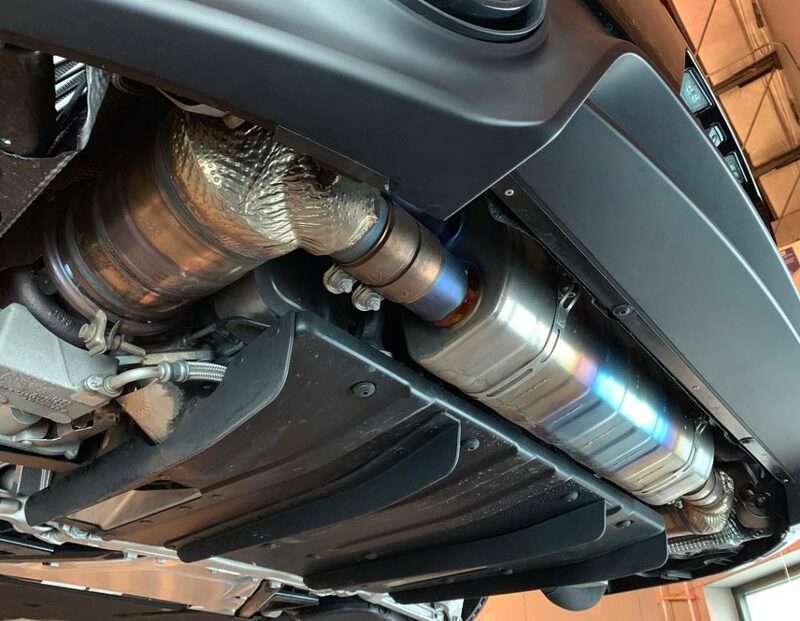 Our plan is two fold – Our Track exhaust system will remove the catalytic converters while retaining the valves and center muffler. This will allow the car to breath freely while the muffler is retained to manage sound. The Race exhaust setup is the one we are most excited for. 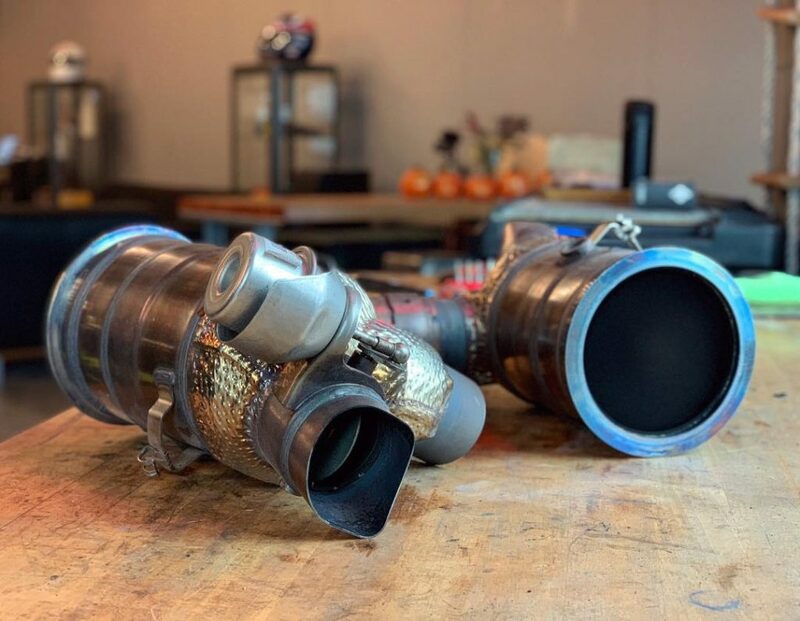 This system will be as light as possible consisting of only two straight pipes, one off each turbo, routed directly out the back of the bumper. The center muffler will not be retained nor will the valves. Our goal is a system that weighs less than 10lbs. More on both of these setups in the next week as we have the first few prototype units produced. With exhaust development underway, it was time to install a GT2RS-inspired roll bar. 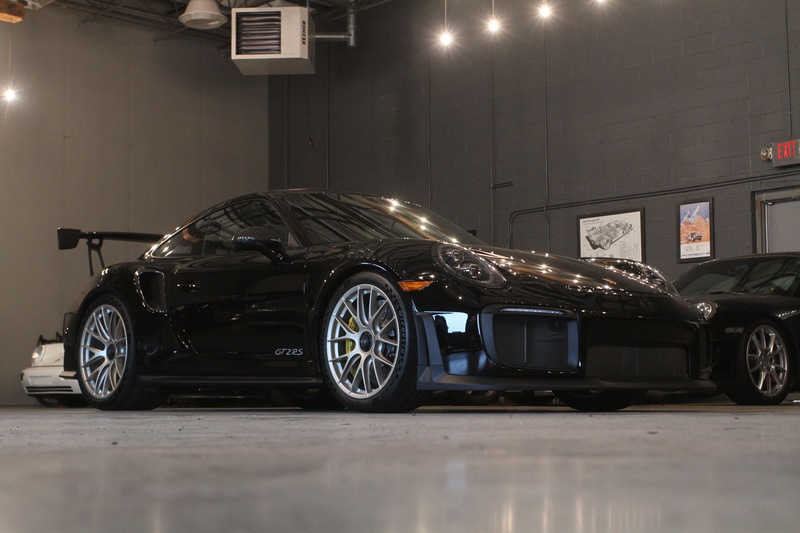 The bar is produced as a collaboration between two local companies – Patience Metal Fab & Imola Motorsports, and we’re proud to offer it to GT2RS owners. 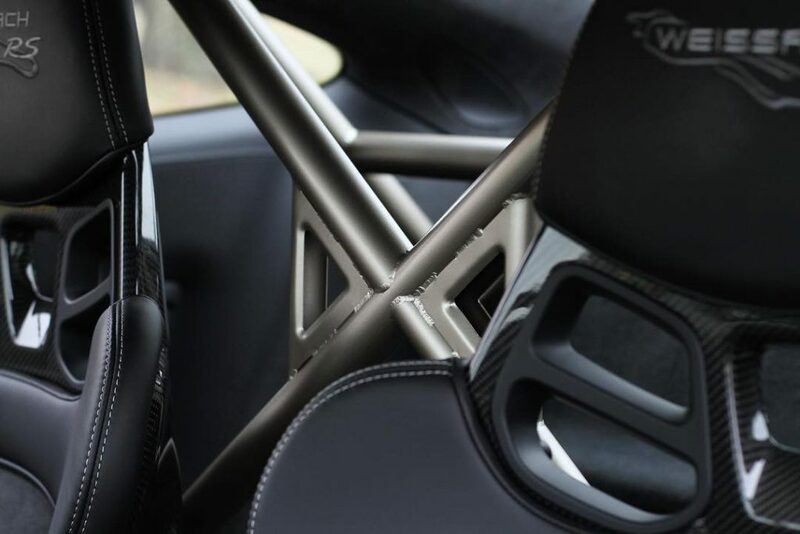 This roll bar faithfully reproduces the look and feel of the factory Ti roll bar, down to the shape and orientation of the gussets. We finished this unit the Satin White Gold metallic – the same color of the magnesium BBS Weissach wheels. The finish looks similar to the factory Ti unit, however we really like the fact the roll bar now matches the color of the wheels. We installed a chromoly steel unit which weighs 37lbs. A titanium version is possible, however the cost vs. performance ratio is questionable. 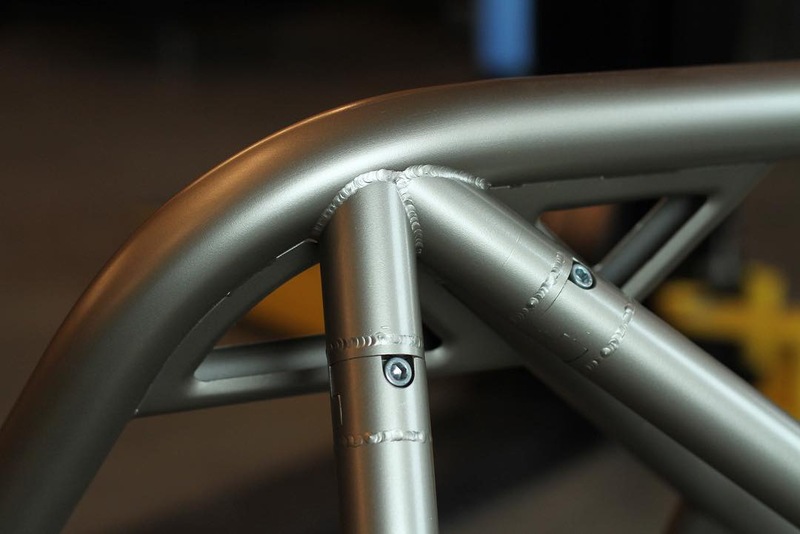 Estimates have the titanium bar between 8-12lbs lighter than chromoly with a price of $15k-18k. 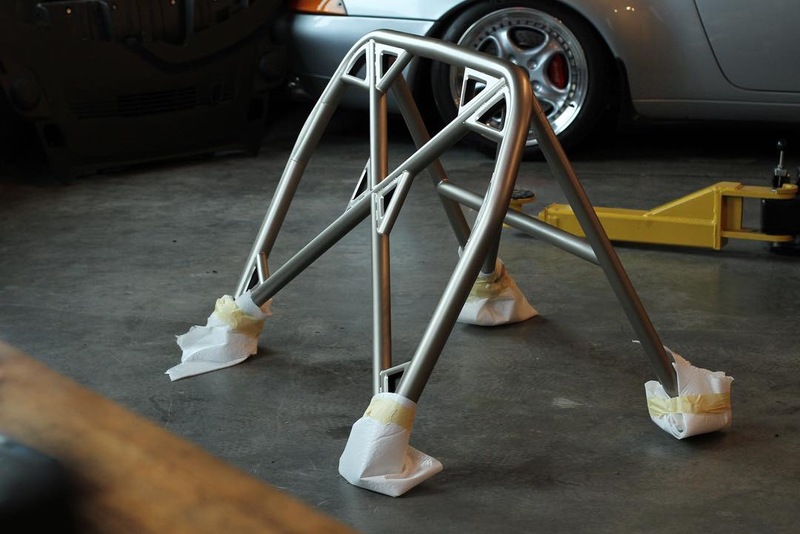 Compare that to the $3,500 for the chromoly unit, the decision to fit the steel unit to our GT2RS was clear. And just like that, the 311RS GT2RS program is up and running. During this winter we’ll be continuing development and preparing the car for it’s first track time early 2019. We’re headed down south in February to get a jump on testing, likely headed to Road Atlanta, Sebring, VIR, and more. Until then, this news section will be active as the car shapes up through the winter. 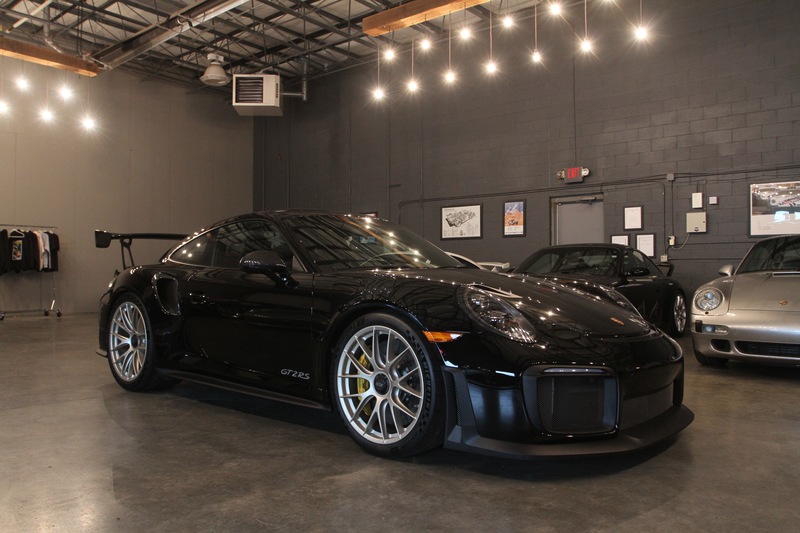 Please contact us with any questions about the program and to place an order for your GT2RS. We’ll keep this news section active in the meantime. Thanks for reading! Photos courtesy of Ryan Gates/311RS, LLC.